That 36 people being shot and seven being killed is described as a “reduction in gun violence” illustrates just how violent the nation’s third largest city remains. The “reduction,” as reported by USA Today, follows six homicides and 44 shootings in 2017. Year 2016 saw seven murders and 61 shooting victims over the same holiday weekend, the national newspaper reported. The Windy City reports a 19 percent decrease in murders during the first five months of 2018. That sounds good until you see that left 191 people murdered. During the same period in 2017, 237 people were murdered in Chicago. Chicago is not in any danger of losing its crown as the murder capital of the U.S., Today stated. So far this year there were 821 shootings–down from 1,032 during the same period last year. Northwestern University Professor Andrew Papachristos said easy access to guns is only part of the issue. He explained, “Gangs play a key role in facilitating access to guns.” Gangs are fueled by drug trafficking. The victims of Chicago’s Memorial Day Weekend gun violence included five men and two young women, the newspaper reported. Despite a massive presence of law enforcement at the local and federal level, no suspects are in custody. The U.S. Department of Justice formed a joint strike force with local law enforcement to make an effort to reduce gun violence. The DOJ assigned 20 ATF agents to Chicago to help in the crackdown on gun violence. This brought the total number of ATF agents in Chicago to 61. 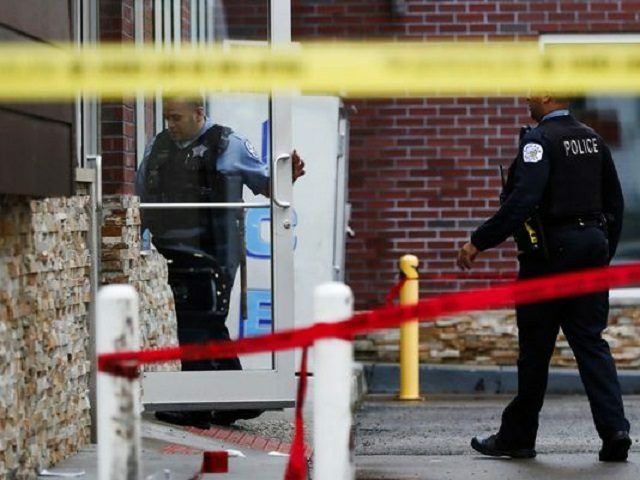 However, earlier this year, an ATF agent assigned to the task force was shot and critically injured in an “ambush-style” attack, USA Today reported. The agent is expected to make a full recovery, ATF Special Agent in Charge Celinez Nunez said at the time. Chicago authorities complain that, despite strong gun control laws, gang members still have easy access to guns. They cite traces on the guns used in many shootings to legal purchases made in Indiana, Mississippi, and Wisconsin.